Currently the Australian government is discussing extending its coercive and mandatory ‘No Jab No Pay‘ welfare policy to ban all healthy unvaccinated children from pre-schools and childcare centres. For anyone who does not have young children this means children will be expected to have the ‘full’ schedule of 16+ vaccines or approx 45 doses of vaccine to be accepted into pre-schools and childcare facilities. The Australian government has removed religious and philosophical exemptions to vaccination in this policy and also reduced the medical exemptions that are allowable. Most of these 16+ vaccines have been added since 1990 – when infectious diseases were not a serious risk to the majority of children in Australia and the vaccines have serious health risks associated with them. This is why Sweden has recently stated it will not adopt any coercive or mandatory vaccination policies. It is stated in the medical literature that vaccines did not control infectious diseases so vaccine-created herd immunity is not a reason to mandate vaccines for the entire community (as Sweden has demonstrated). Yet all of these 16 vaccines have now been mandated in coercive and mandatory social welfare policies in Australia. In addition, doctors and nurses are not required to inform parents of the many toxic ingredients in these vaccines. Nor are they required to inform parents of the serious adverse health outcomes described on the package inserts and in the medical literature. Also hidden in this policy is the influence of pharmaceutical funding on the education of doctors, in the media, and on politicians. Our Ministers of Health in general do not have qualifications in health and they are dependent upon the information and donations provided by the dominant pro-vaccine lobby groups. In Australia the politicans are relying on the non-independent vaccine research that is supported by the Australain Medical Association (AMA). The AMA and the Australian Academy of Science are providing false information on vaccines because they are promoting pharamceutically funded and interpreted studies on vaccine safety and efficacy. In fact, nurses and doctors in Australia are being actively prevented from discussing the risks of vaccines to the public by their professional registration boards. Doctors and nurses are being instructed that any material that is considered ‘anti-vaccination‘ must not be presented to the public or they risk de-registration and/or prosecution by the regulatory board. My PhD thesis provides the medical literature that describes the serious risks of vaccination that outweigh any claimed benefits from the current schedule of vaccines. Does this mean that doctors and nurses can be prosecuted for describing the medical literature on the risks of vaccines as described in my PhD thesis? Evidence-based policies are about scientific debate and the evidence must stand up to scrutiny. If doctors and nurses are being threatened with prosecution for debating the medical literature then these policies are endangering human health. The debate is not about pro- or anti- vaccination, it is about the rigour of the evidence supporting this medical intervention for healthy people. Coercive and mandatory vaccination policies are a breach of the Nuremburg Code that was designed to prevent experimentation on the human population. Australians no longer have the right to informed consent without coercion for vaccination in social welfare policies (and many employment situations) and this dangerous legislation is being extended further with the ‘No Jab No Play‘ policy. Mandatory medications in genetically diverse populations are harmful to the population yet the Australian government is bringing in mandatory vaccination policies for healthy people. A policy that includes mandatory medication is not in the public’s best interest if the science cannot be openly debated. Vaccination has always been voluntary in Australia and mandatory policies were not needed to control infectious diseases. So why are they now being mandated globally in developed countries when infectious diseases are not a serious threat to the majority of the population? There are no studies proving that vaccines are not causing the escalating autism in children or the 5-fold increase in chronic illness that directly correlates to the expanding vaccination schedule. So why are vaccines being claimed to be ‘safe and effective’ by governments? Until this proof is provided governments are endangering public health with coercive and mandatory vaccination policies that only benefit a $30 billion vaccination industry that is supported by politicians with conflicts of interest who provide advice to the Minister of Health. This political system is allowing biased industry information to be used as the foundation of government vaccination policies that are stated to protect the ‘public interest’. It is noted that our Prime Minister’s wife, Lucy Turnbull, as the chairman of Prima Biomed, also has a conflict of interest in the push for coercive and mandatory vaccination policies by the Turnbull government in Australia. The activities of NCIRS are divided between two operating divisions – Policy and Surveillance, and Clinical Research. The staff of these two divisions work independently of each other. The two divisions are funded separately as below. Core funding for Policy and Surveillance research activities is provided by the Australian Government Department of Health and the NSW Ministry of Health.The Sydney Children’s Hospitals Network and the University of Sydney provide infrastructure support. Additional funding for specific activities in this division is occasionally obtained from various funding bodies such as the National Health and Medical Research Council (NHMRC). These bodies have no input into NCIRS publications or to our editorial policies. The Policy and Surveillance sections of NCIRS do not accept any funding from pharmaceutical companies or other for profit industry sources. The Clinical Research group within NCIRS undertakes a mix of investigator­driven and industry ­sponsored research. NCIRS ABN: 53 188 579 090. Phone: +61 2 9845 1433. The NCIRS Funding and governance webpage also states “The Policy and Surveillance sections of NCIRS do not accept any funding from pharmaceutical companies or other for-profit industry sources”. What about staff in the NCIRS Executive (who I presume are also influential on policy? ), are any of these people associated with funding from pharmaceutical companies or other for-profit industry sources? The Funding and governance webpage also notes “NCIRS has a policy governing the interactions of staff members with the pharmaceutical industry” – is this policy available for public perusal? Professor McIntyre, I again ask, does the NCIRS maintain a publicly accessible register of its staff’s associations with vaccine manufacturers and other for-profit industry sources, i.e. a conflicts of interest register? Is such conflict of interest information also available for members of the Advisory Board and Scientific Advisory Board of NCIRS? Please note I am copying the Australian Government Chief Medical Officer, Professor Brendan Murphy, and the Australian Government Health Minister, Mr Greg Hunt, on this email thread as this correspondence is relevant to their areas of responsibility. This correspondence is also being circulated to other parties as it is a matter of public interest. Conflicts of interest have an important bearing on the Australian Government’s coercive taxpayer-funded vaccination policy, citizens are entitled to transparency and accountability in this area. I request your response on this matter. A peer-reviewed study recently published in the Review of Industrial Organization examines whether removing the right to sue (“delitigation”) affects product safety. 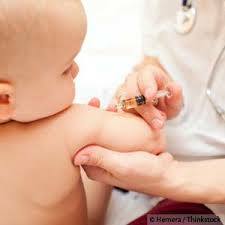 The findings highlight the importance of litigation in maintaining vaccine safety. The study, “Is ‘delitigation’ associated with a change in product safety? The case of vaccines”, by economist Dr. Gayle DeLong at Baruch College in New York, compares vaccines licensed before the passage of the National Childhood Vaccine Injury Act (NCVIA) in 1986 with vaccines licensed after the legislation. Results suggest that vaccine safety deteriorated after consumers were no longer able to sue vaccine makers. READ MORE. Vaccine safety research is needed. Risks vs. benefits must be weighed. On June 21, 2017, US Health officials released new estimates showing that last winter’s flu vaccine was ineffective in protecting older Americans against the illness. They said that the flu vaccine did a poor job even though it was well matched to the flu bugs going around. Mercury and a host of other toxins are in flu shots. Exposures have been linked to many diseases. We need vaccine safety research to weigh the risks of injecting toxins and heavy metals into the body vs. the benefits of protecting one from the flu. READ MORE. In a related story, the Centers for Disease Control (CDC) said on June 22, 2017 that FluMist isn’t recommended for protection either because it was also ineffective. READ MORE.